SenSura Mio is a new colostomy appliance designed with a unique adhesive that is formulated to enhance elasticity and fitting performance. The elastic adhesive is based on BodyFit Technology. It is pliable to individual body contours and maintains as secure fit, because it responds to individual body movements. Coloplast's SenSura Mio offers enhanced fitting performance. It features a new elastic adhesive for greater pliability, enabling it to adapt to contours, hernias, scarring and skin folds. A secure fit is maintained thanks to the appliance’s ability to respond to body movements. Users have described it as a feeling of a secure, 'second skin'. It also offers BodyFit Technology, a new elastic adhesive giving a closer fitting to the wearer. Formulated with a unique blend of EVA-polymer, oil, and hydrocolloids. The blend of EVA-polymers and oil provides the elasticity while the hydrocolloids facilitate the transport of moisture. The inner zone delivers proven SenSura performance to protect the peristomal skin around the colostomy. The SenSura Mio comes in pre-cut and cut-to-fit ostomy appliances. Both are available at Parthenon as well as all Coloplast ostomy supplies. 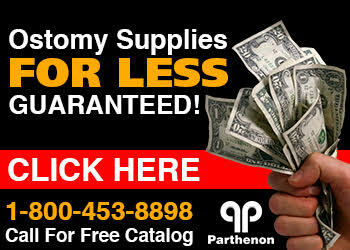 The complete SenSura ostomy product line can be purchased at the lowest prices at Parthenon 1-800-453-8898.